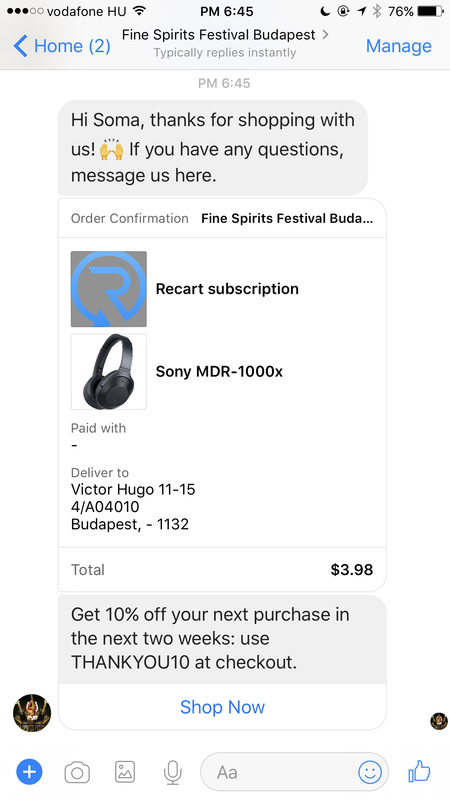 Recart sends different automated campaigns to your Messenger subscribers. This guide helps you get started. What are Automated Facebook Messenger Campaigns? 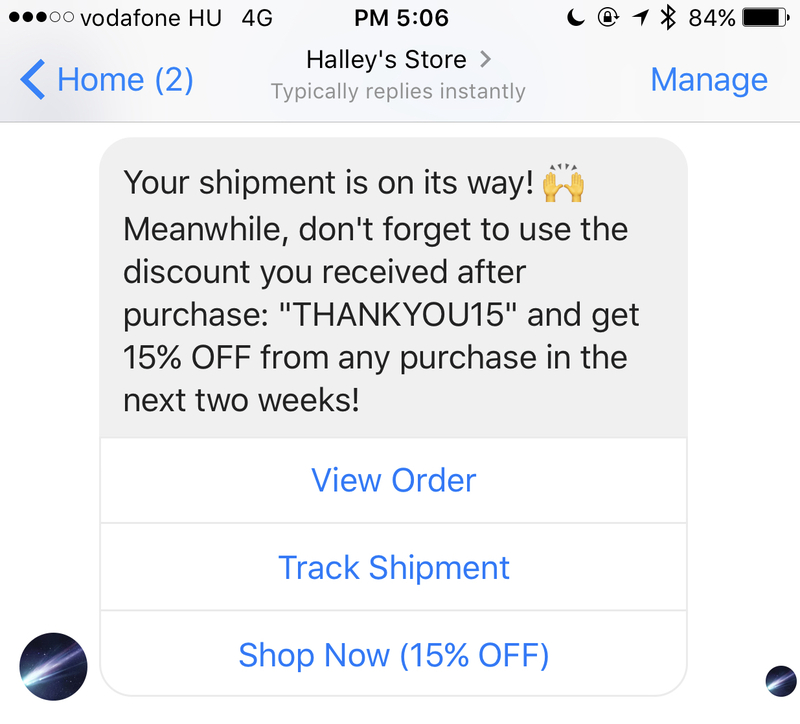 These campaigns send Messenger messages to your customers' inbox automatically when the desired action happens like cart abandonment or purchase. Recart offers a full set of Automated Messenger Campaigns for your ecommerce store. These pre-built campaigns are born for one purpose: making more money for your store. I strongly recommend you to keep most of the automated campaigns enabled. Unlike emails, these automated marketing messages use the power of the Messenger platform, generating you more extra sales than ever. 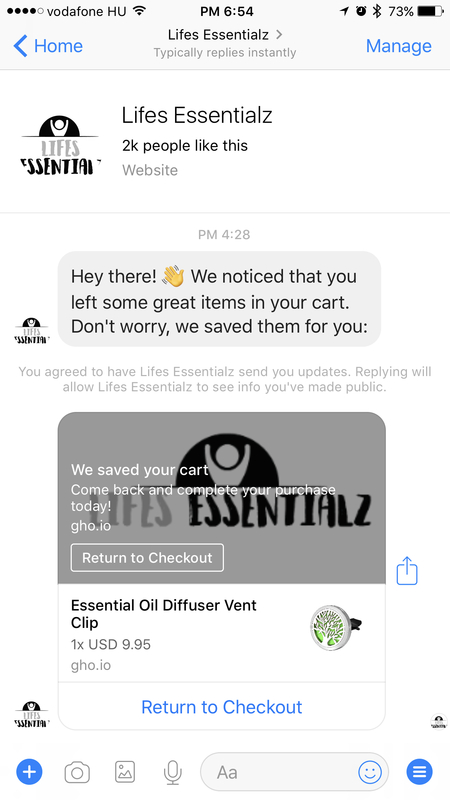 Your customers must opt-in to your Messenger list before you can send messages to them. Learn about growing your Messenger list here. The Abandoned Cart Messenger Campaign a 3-message campaign sent when your customers abandon their cart. The average Messenger open rate (95%) will help you recover 5-7x more abandoned carts than ever before. This campaign is scheduled to 1 hour - 23 hours - 48 hours after cart abandonment by default. You can change the schedule, the text, the button text and even offer a discount for your abandoners. I put a detailed article together about the Abandoned Cart Messenger so you can learn how you can use this campaign. I also included some great examples. Just like email order receipt this campaign is sent right after purchase - but via Messenger. Ecommerce experts agree that the order receipt is a missed marketing opportunity in most of the stores. Receipts are opened 2-5x more than promotional messages. Make sure you don't miss this attention and send a warm thank you and a coupon code for the next purchase. Recart's Messenger Order Receipt helps you turning the one-time purchases to returning customers - on autopilot. The receipt offers a discount for the next purchase - incentivizing your customers to come back and purchase again. That's a proper use of your receipts! Do you want to see more receipt examples? I put an article together about the receipt itself, read it here. Keep your customers updated with Recart's Fulfillment Notification! Send an auto-update via Messenger when you fulfill their order. This campaign is also a great opportunity for reminding your customers to use their discount code before it expires. Use Messenger Welcome Campaigns to greet your new subscribers and let them know how much you appreciate them. You can also send discount codes in welcome campaigns to improve the customer experience and increase engagement on your campaigns. Do you give up on Messenger marketing because now you’ve sold them something? Absolutely not. The game just begins here. 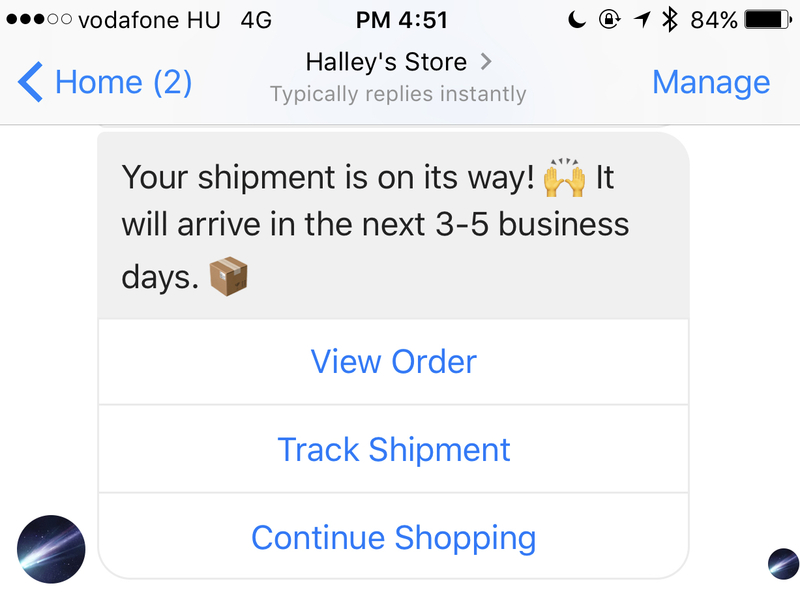 Send Recart's Purchase Follow-up Messenger Message 3-7 days after product delivery. Check in with them. Ask them “is everything ok?”. Customers are used to being ignored by merchants during this process, and you can stand out by asking them to get in touch if they need anything. Ask them to leave a review. Create a promotion, especially for your customers. Remind them about their unused discount codes. We'll update this section with examples and best practices when we release the Purchase Follow-up Campaign. Repeat customers are the lifeblood of your business - if you use Recart's Messenger marketing to capitalize on them properly. This campaign is sent to your returning customers. Repeat customers must be treated differently than your new customers. Repeat customers don’t have trust issues anymore, otherwise, they wouldn’t have bought again. They know, like and trust you. What they need is relevant and exciting information. We'll update this section with examples and best practices when we release the Best Customers Follow-up Campaign.